Thank you to all at Victor Parks & Recreation Department and the dozens and dozens of supporting Victor merchants for making this happen! MOE’S Southwest Grill FUNDRAISER Friday May 11 only – Tell the cashier you are eating at Moe’s on that Friday so a donation will be made to Honor Flight Rochester. You will help send more veterans to DC. Invite your friends to join you. THANK YOU MOE’S! Your participation at the Honor Flight Rochester homecomings have made us the epitome of homecomings in the Honor Flight Network. But with the construction at the Greater Rochester International Airport, the spaces assigned for HFR uses will be different. Outside the upper driveway is closed. Inside HFR will use less of the upper concourse and more of the lower concourse. Familiarity with old habits is gone. Please be understanding that the veterans’ family members only have a once-in-a-lifetime opportunity to welcome home their loved one. Let’s do our best to make sure family members will enjoy this most memorable afternoon with their veteran. Thank you for your consideration and thanks for your continued support. Click on the link below to see a 2/14 D&C article by Jim Memmott featuring HFR and veterans John Griffin and Guy Bilancini. Congratulations Pat Mason, HFR Volunteer of the Year! 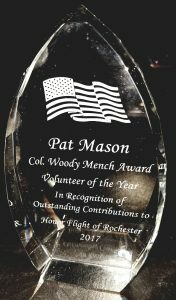 Congratulations to Pat Mason, recipient of the HRF Volunteer of the Year at the 2018 HRF The Volunteer Thank You event at Post 468. 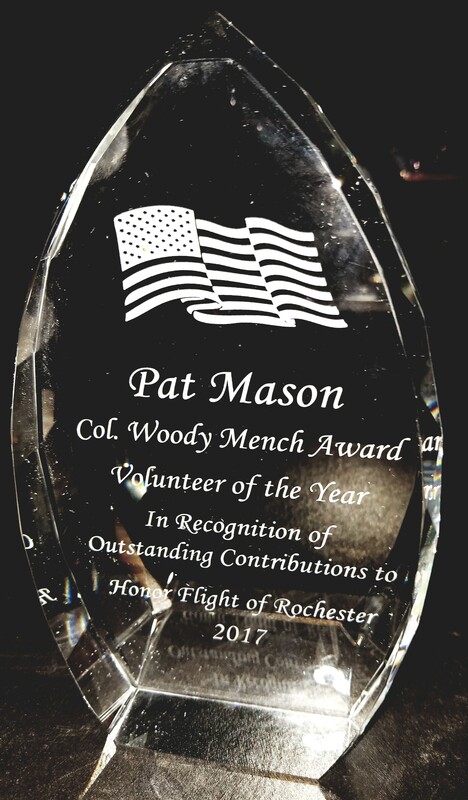 Posted in News | Comments Off on Congratulations Pat Mason, HFR Volunteer of the Year! 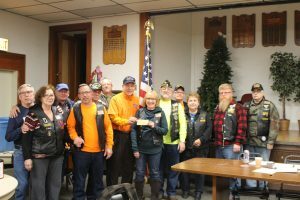 Attached is a photo of the Chili American Legion Post Riders presenting Honor Flight Rochester a donation from their Poker Run. Thank you for your support! Remember to Donate to HFR on Roc The Day 11/28! Search the Roc The Day website by Honor Flight Rochester and follow the instructions! Thank you in advance for your generous donation. 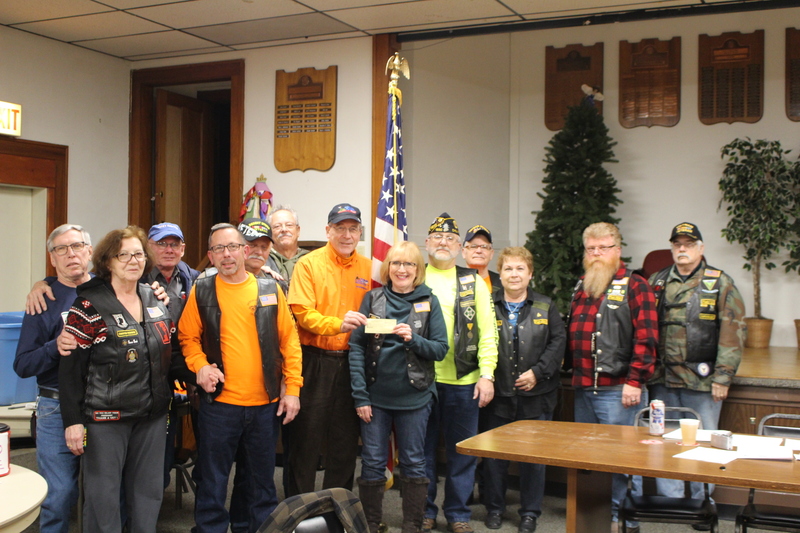 Posted in News | Comments Off on Remember to Donate to HFR on Roc The Day 11/28!